If you are a freelancer or a small business, today we are going to solve your problems regarding online invoicing and tracking of your expenses. Your accounting worries will be finally solved with the simple and easy to use software called Invoiceberry. The software looks very professional and very simple. It will help you in many situations and to finally arrange and manage your incomes and expenses in easy manner. 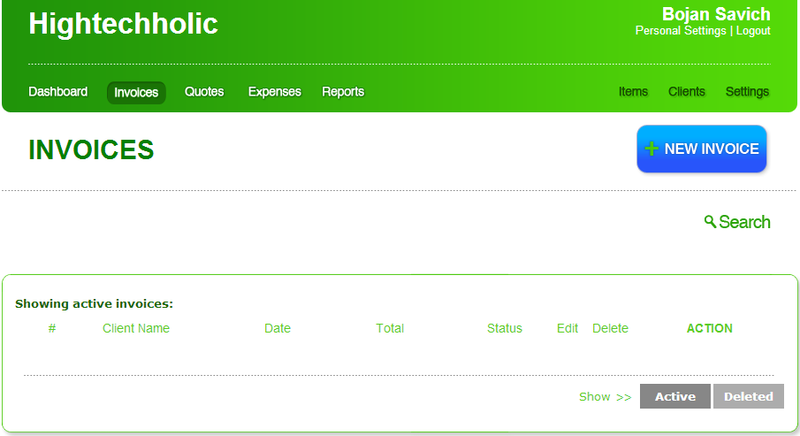 It arranges, manages and stores all of your invoices. You can easily access them whenever you want and from any place in the world. You can email any invoice directly from their software. So, you will safe a lot of time and there will be no more paper, printing or going to the post box. The design of the invoices looks like they are created by the large corporation. This will increase your image and it will eventually make the buyers to pay you faster and think of you as very professional business or freelancer. All your invoices and expenses are 256-bit AES SSL encrypted with. That means that your data is safely stored and it is constantly backed up. The sign up process is very easy and the software is free. First you got to fill out the company name and leave your email. Second step is to fill out your first and last name. Third step is your address, city, country etc. The next step is your currency and language, they do support numerous currencies and 4 languages. The final step is to enter your logo that will be part of every invoice. After that you are finished and you can start using it. To check out the software and sign up go here. Bellow you can see my dashboard and see how simple, neat, professional and organized this website actually is.